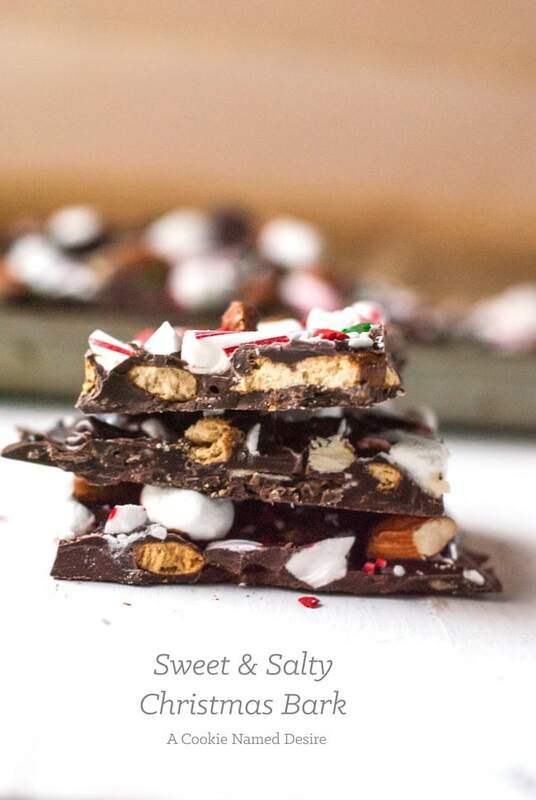 An addictive sweet & salty Christmas bark you will want to eat by the pound! I can’t believe tomorrow is Christmas!! I am doing all my wrapping right now (I don’t even know what I am doing online right now) because even though I got all my shopping done early, I gotta procrastinate somehow. At least my daughter’s gymnastics class is having a PJ party right now specifically for this reason. Result! This is no regular bark. 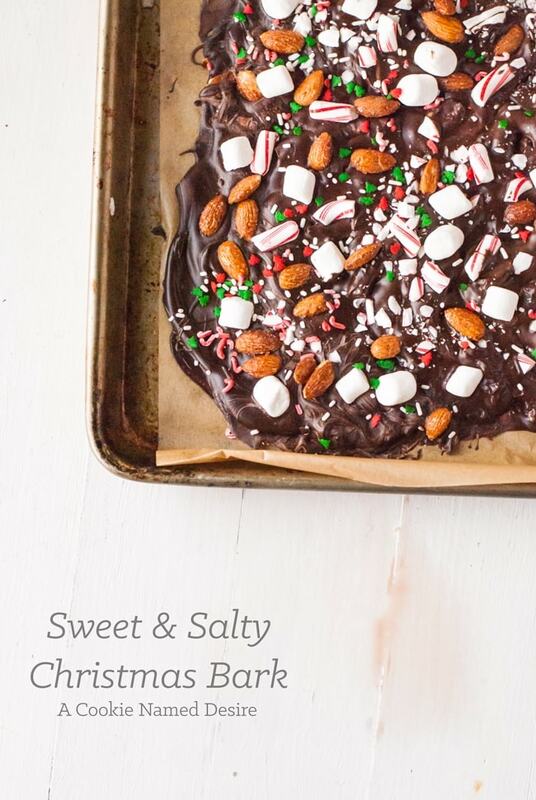 This is overstuffed, sweet, salty, pepperminty, sprinkly holiday bark!!! 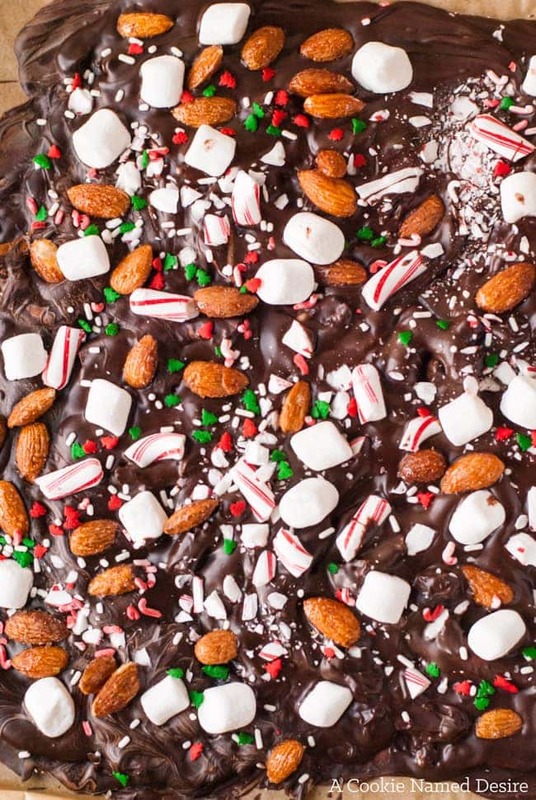 Yeah, it says Christmas bark, but you don’t gotta celebrate Christmas to make this deliciousness. That was just my bad in the editing process. No more of those late nights going through photos. To start, this bark makes a ton of delicious candy for you because we are using 24 oz of dark (or milk) chocolate. Then we add in a hidden layer of popcorn, pretzels and wavy potato chips. On top we stuff in marshmallows, candied nuts, crushed peppermint candy, a hint of salt, and a serious amount of sprinkles. It’s basically everything you could possibly want. 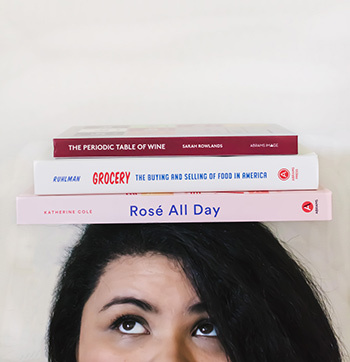 And it takes only about 8 minutes to put together and maybe 15 – 20 minutes for everything to set if you put it in the fridge. 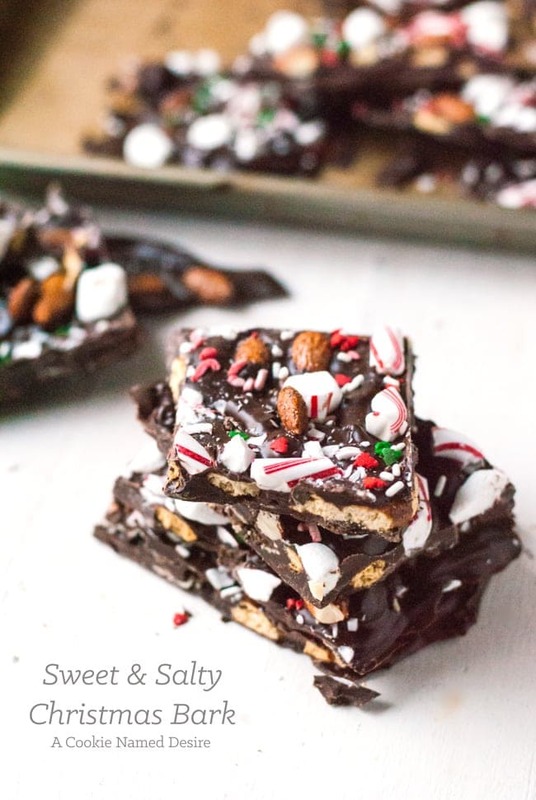 That means in under 30 minutes, you can be munching down on this sweet & salty Christmas bark while you are watching your favorite Christmas movies or finish up your gift-wrapping. I don’t know why we don’t just live off bark. Especially this bark. 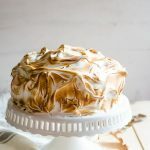 Now, quick, grab your chocolate and get to the kitchen! Happy holidays!! I hope you have a wonderful next couple of days and I’ll see you soon! Melt 12 oz of the chocolate in the microwave by heating 30 seconds at a time and mixing after each interval until the chocolate is completely melted. Spread the chocolate evenly on a parchment lined baking sheet. Spread the potato chips, pretzels, and popcorn on the chocolate. I suggest double layering the potato chips. Heat the remaining chocolate in the same manner as before and spread over the first layer. Top with the marshmallows, nuts, candy cane, salt and sprinkles. 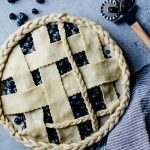 Allow to set completely by leaving in the refrigerator for about 15 - 20 minutes, or in a cool area in your house for about 40 minutes to an hour. 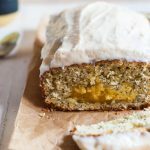 Cut into irregular pieces and enjoy!